Notice: The Building CEO’s will be closed……. To read the new policies and procedures for the Planning Board please click on this link (PDF). 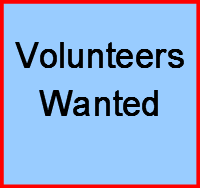 Saturday, March 30, 2019 8:30AM to 12:30PM Palatine Park Activity Building Activities Room To schedule your appointment, please call 1-800-Red Cross, visit www.redcrossblood.org, or download the free Blood Donor App. use sponsor code: germantown Please remember to eat well, drink plenty of fluids and get a good night’s sleep.